A man looks for sea otters off Vancouver Island. A sea otter pops up to say hello off Vancouver Island. 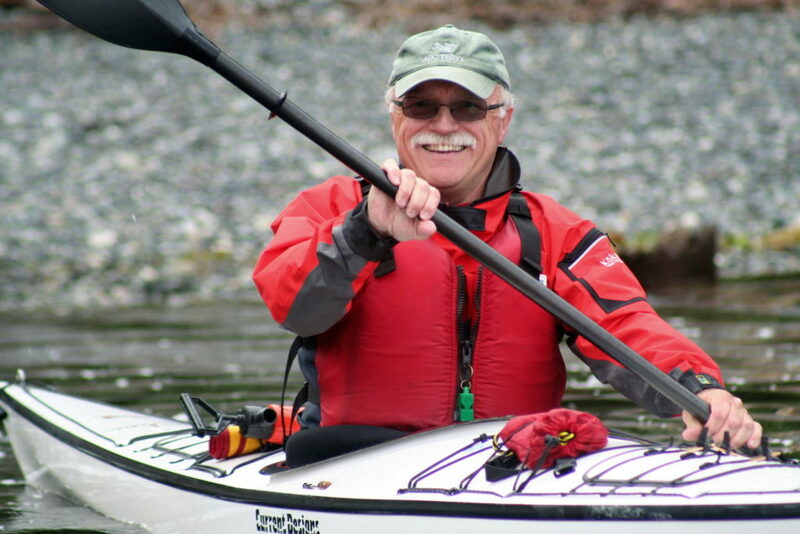 Kayakers search for sea otter off Vancouver Island. Fits stand tall on Vancouver Island. 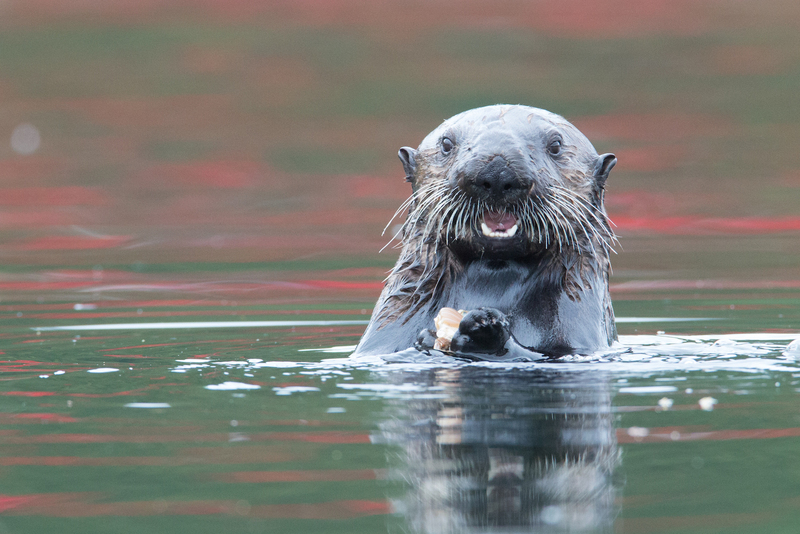 Meet one of the cutest Canadian critters off gorgeous Vancouver Island. Cruising quietly through glassy water to where the wild things are on a kayak tour in the shadow of mountainous Vancouver Island can be a little daunting. But not when your intended target is this cute. As you glide through the sea in your lightweight craft, tentatively probing the tiny floating islands of kelp, before you know it you’ll likely find yourself surrounded by a fleet of friendly otters. As you float along, bask in a coastline of prehistoric forests and surf-pounded beaches, secluded sea caves and alien-looking vertical rock stacks. As well as the 1500 sea otters that call the area home, keep an eye out for soaring bald eagles, black bears foraging for crabs and, if you’re lucky, migrating whales. The daily kayak routes follow the tides and weather, as well as opportunities for guests to explore the local First Nations’ culture and community. 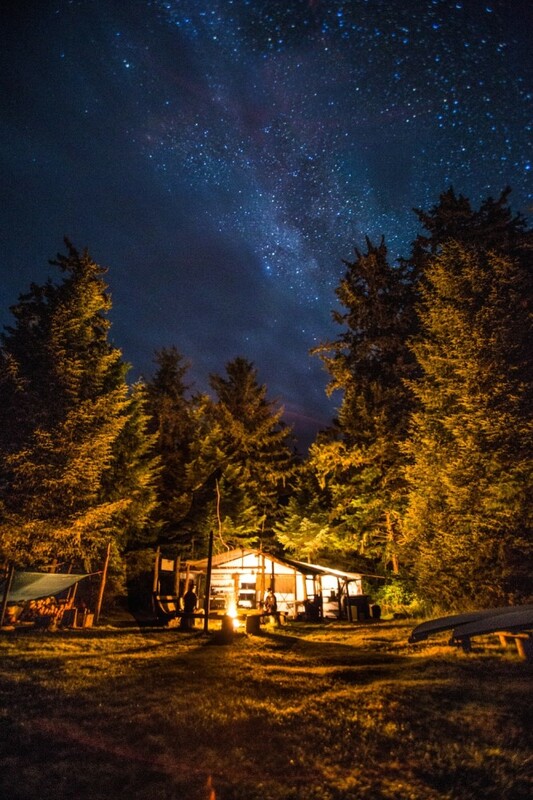 At the end of the day, you’ll be welcomed back to your Spring Island camp-base where luxury tents, gourmet meals and chats with the locals await. Five-day sea otter kayak tours with West Coast Expeditions (westcoastexpeditions.com) operate from late June until early September each year. Find out more here. 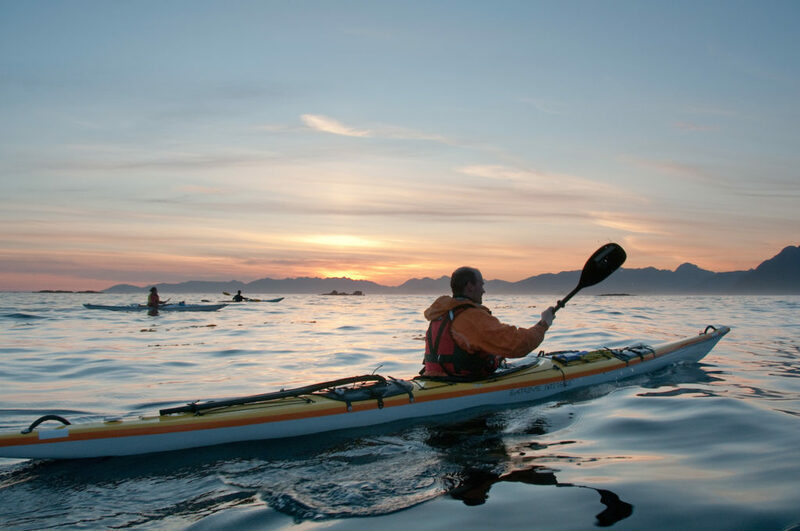 Vancouver Island, BC, is off Canada’s south-west coast, and the Sea Otter Kayak Tours have their camp-base on Spring Island in the Kyuquot Sound, 150 kilometres north-west of Tofino, on Vancouver Island’s western edge.